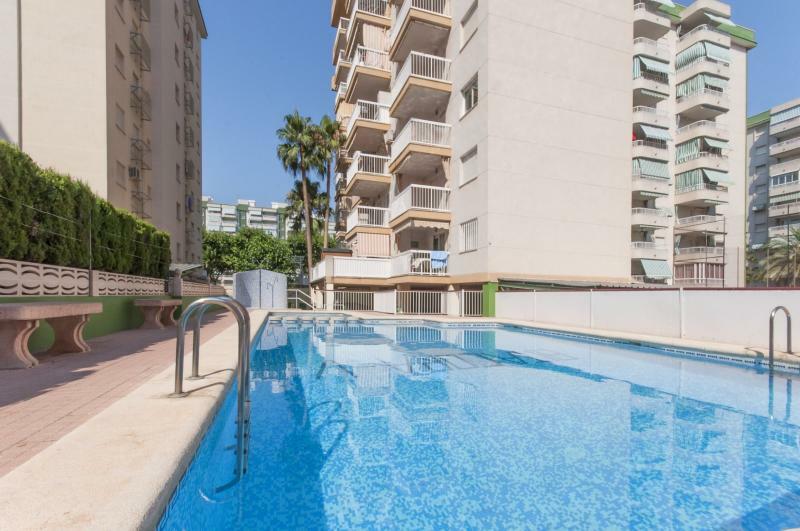 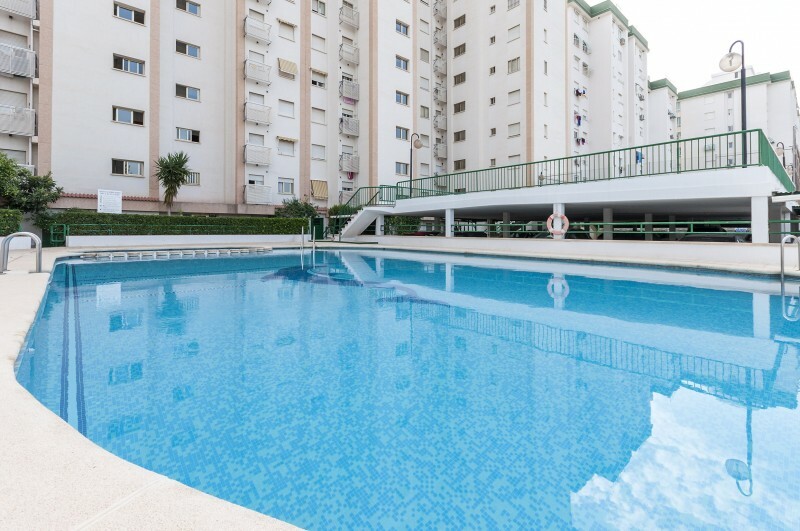 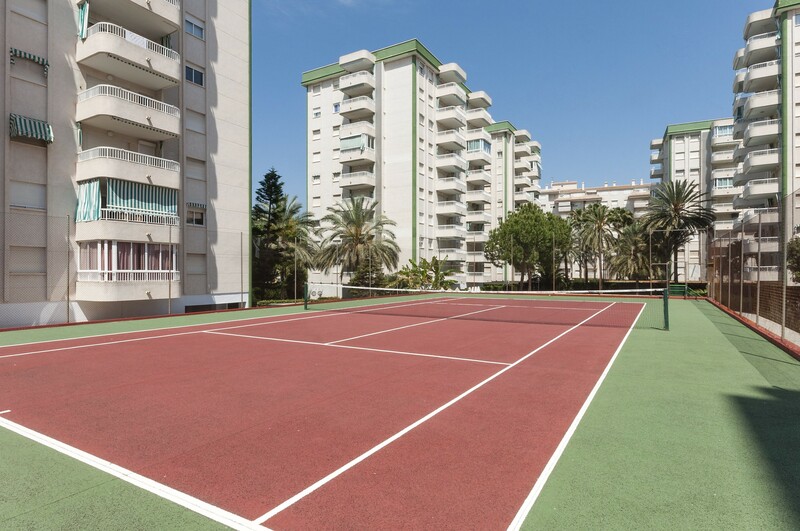 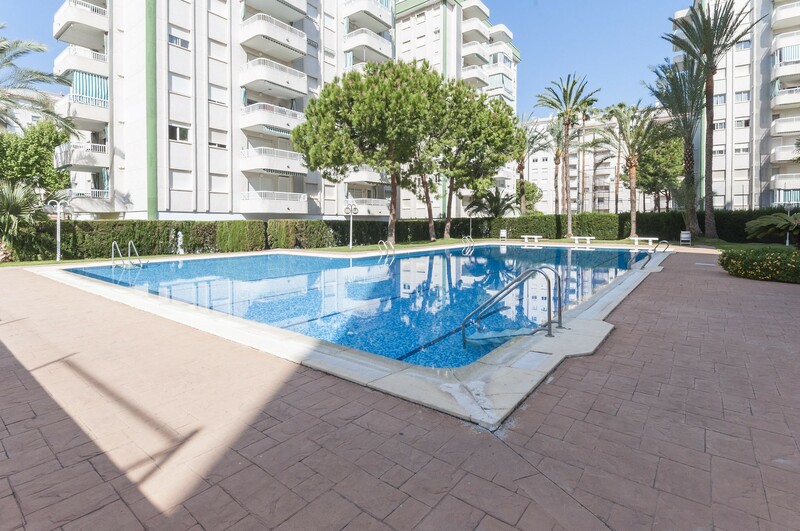 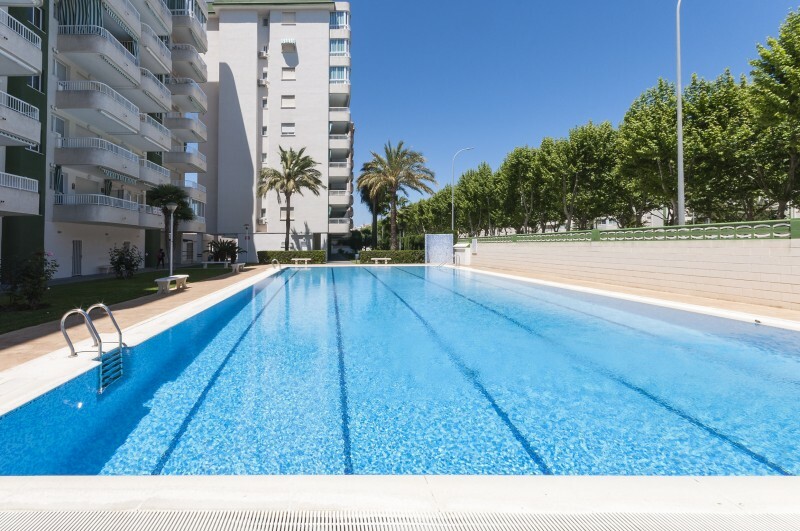 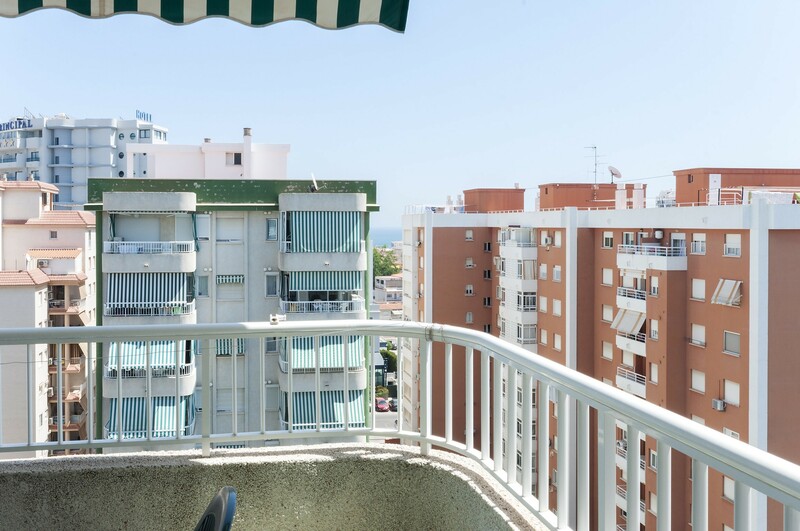 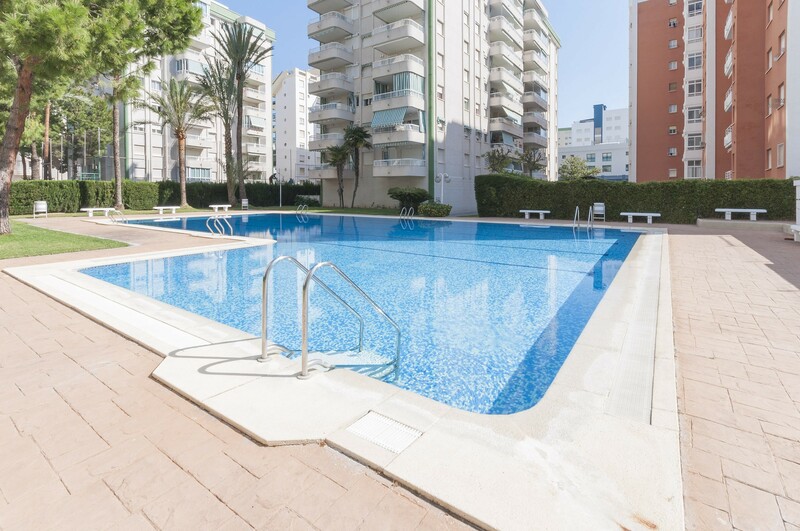 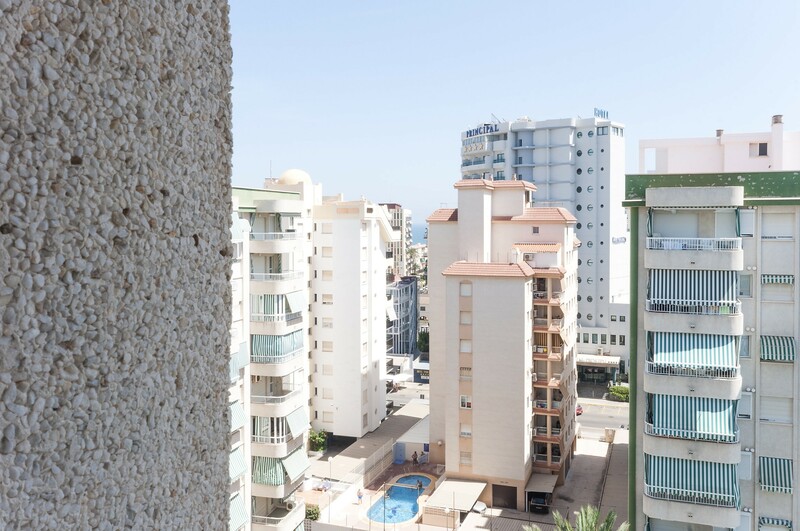 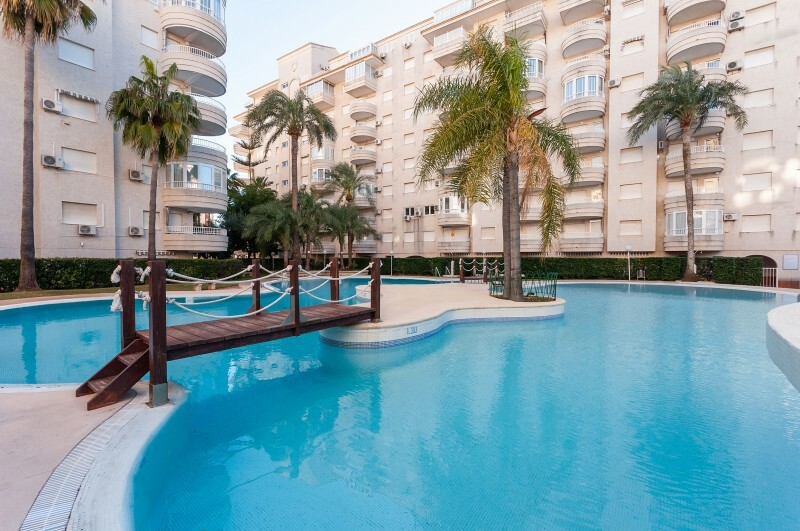 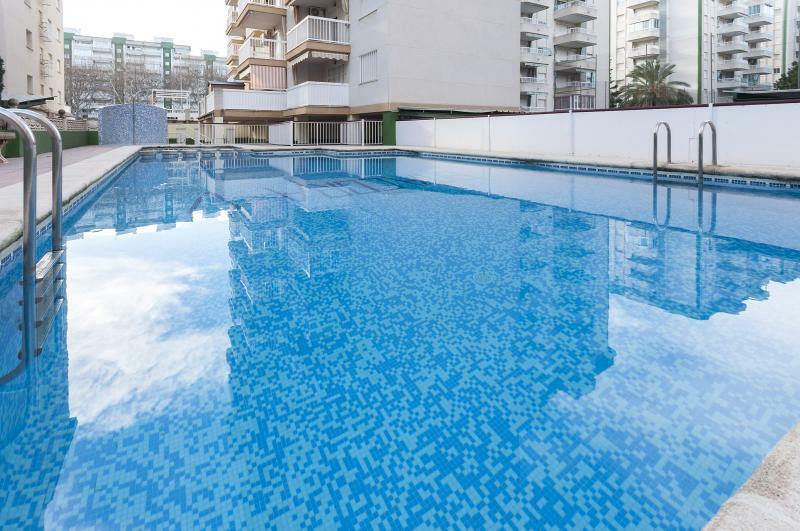 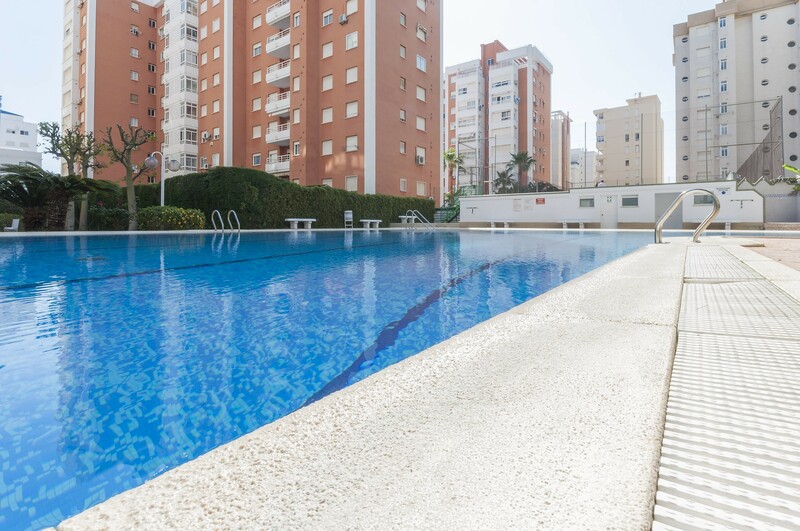 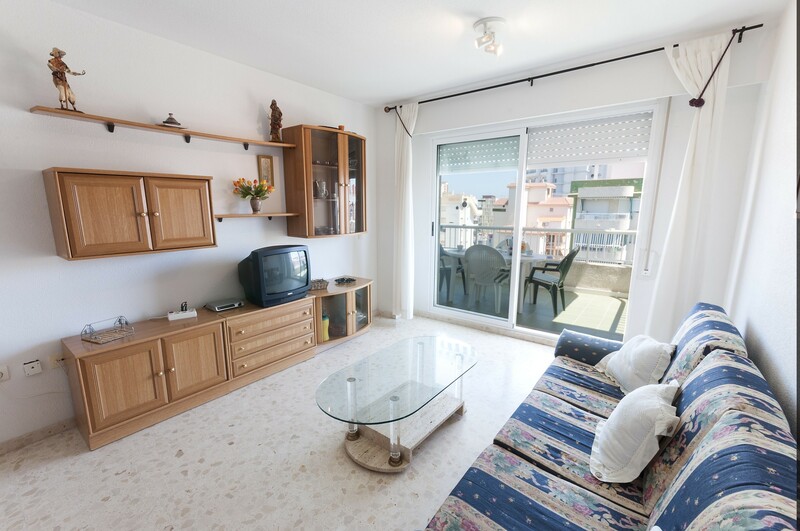 Cozy apartment near the sand beach in Playa de Gandia with shared pool. 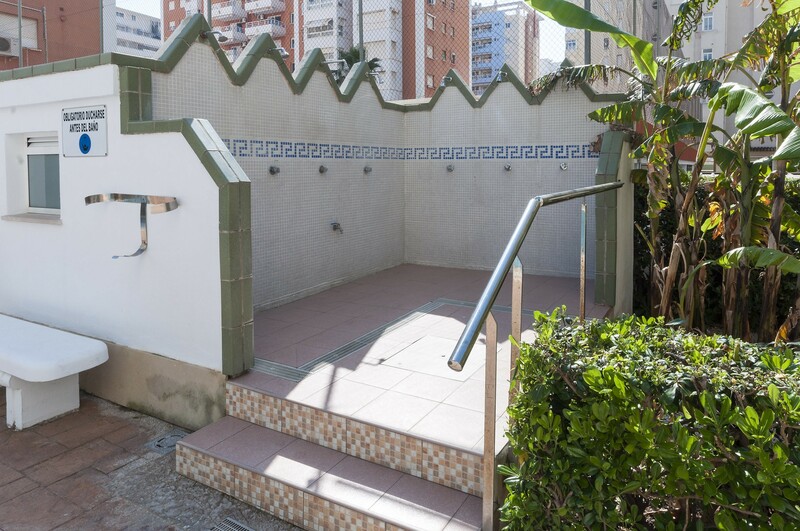 It sleeps 4 people. 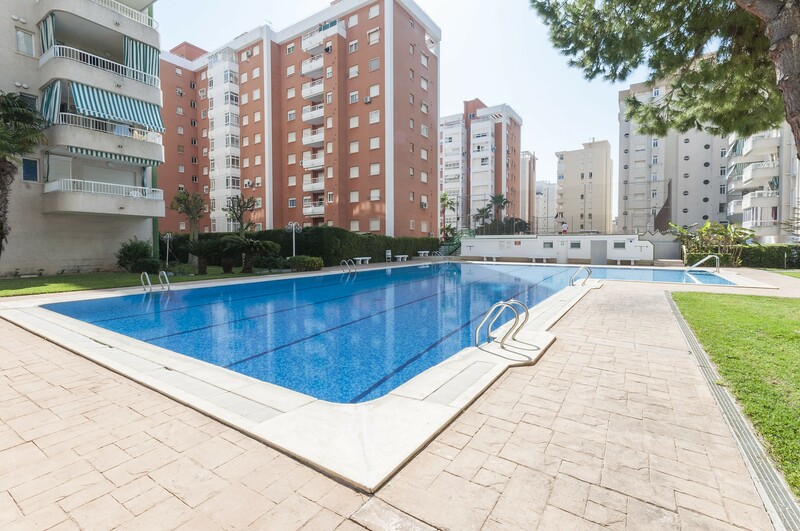 The exteriors feature a shared, 20m x 9m chlorine pool with a depth ranging from 1.2m to 1.7m. 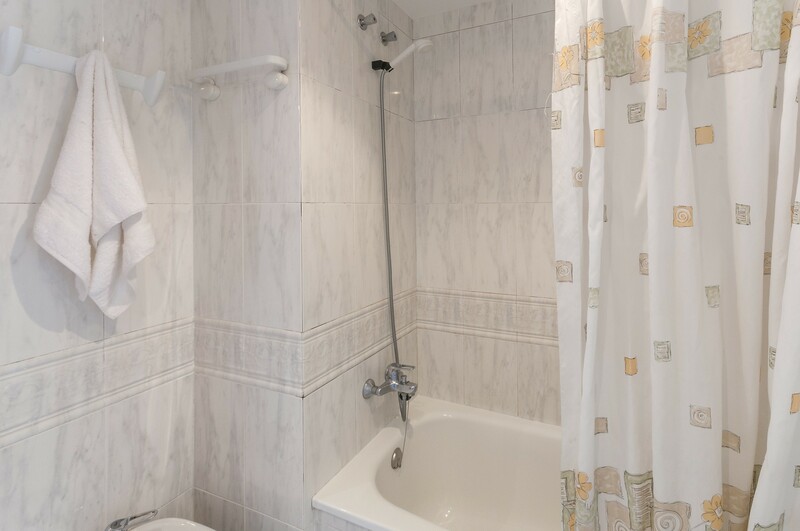 After a nice day on the beach, swim in the pool or take a refreshing exterior shower. 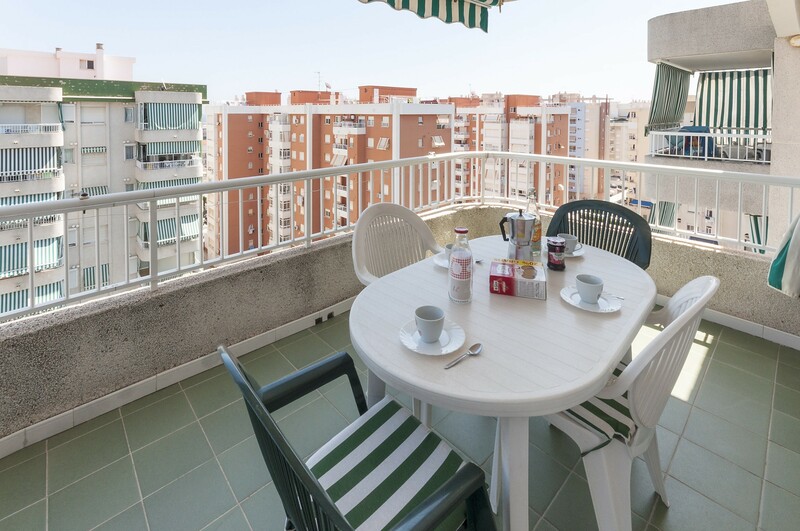 The apartment has a private, furnished terrace where you can enjoy breakfasting overlooking the neighborhood. 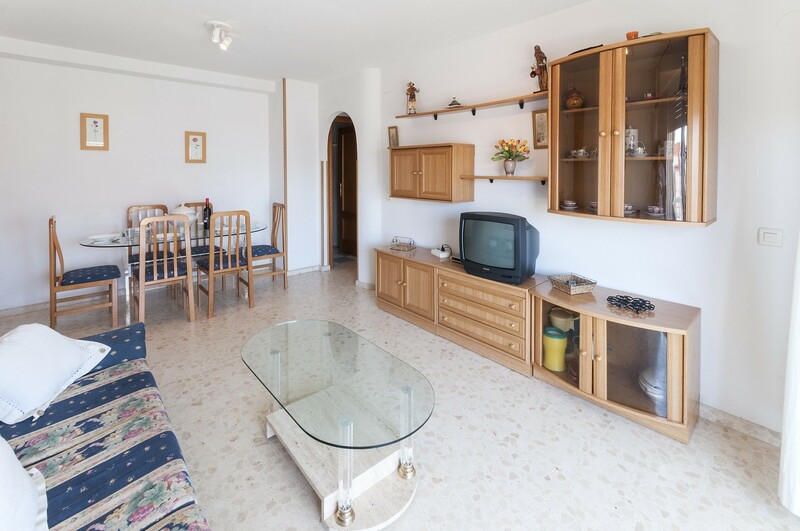 The accommodation is on the 9. floor with lift and has a cozy sitting-dinging room with TV (local channels), sofa and dining table for 6 people. 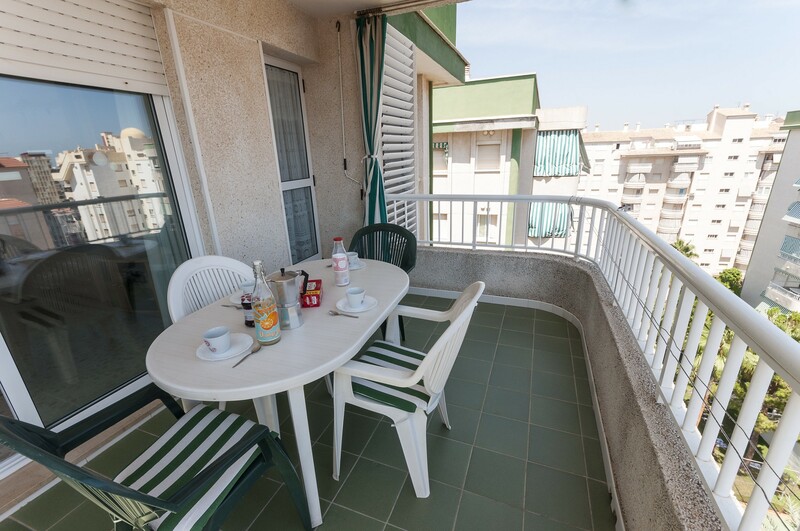 The kitchen is fitted with basic equipment like ceramic hob and microwave to be able to prepare snacks and simple meals. 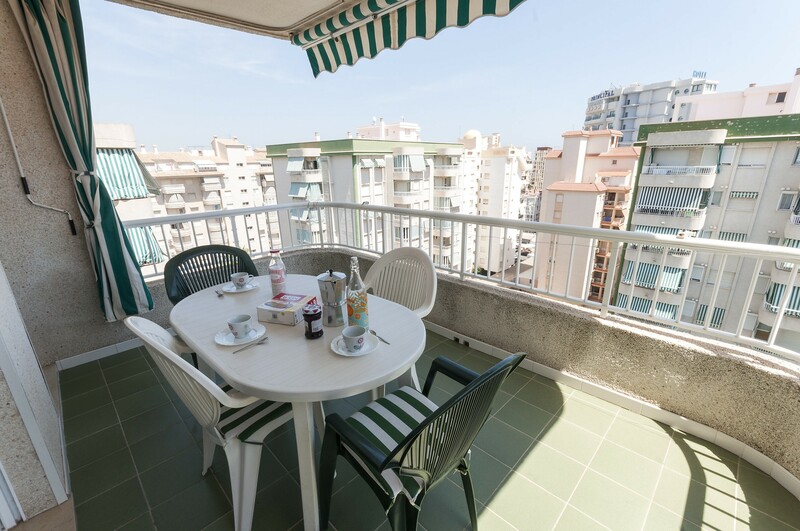 Furthermore, there's a kettle on request. 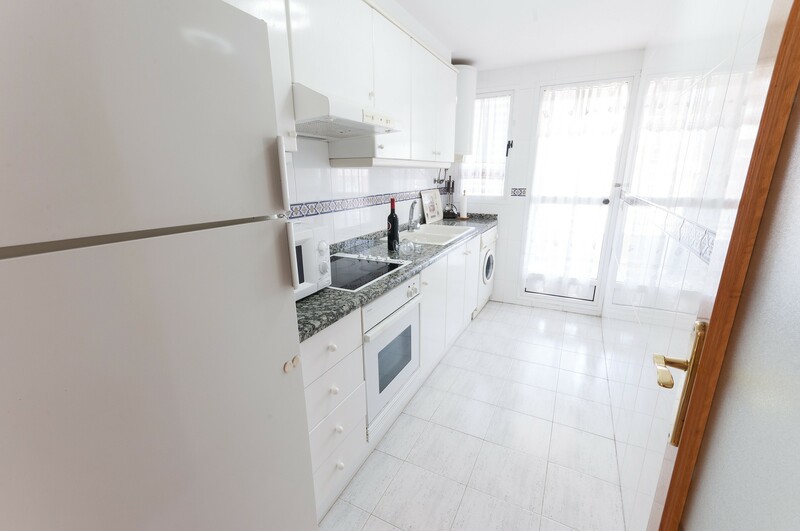 A washing machine, iron, ironing board and high chair can be found in the kitchen as well. 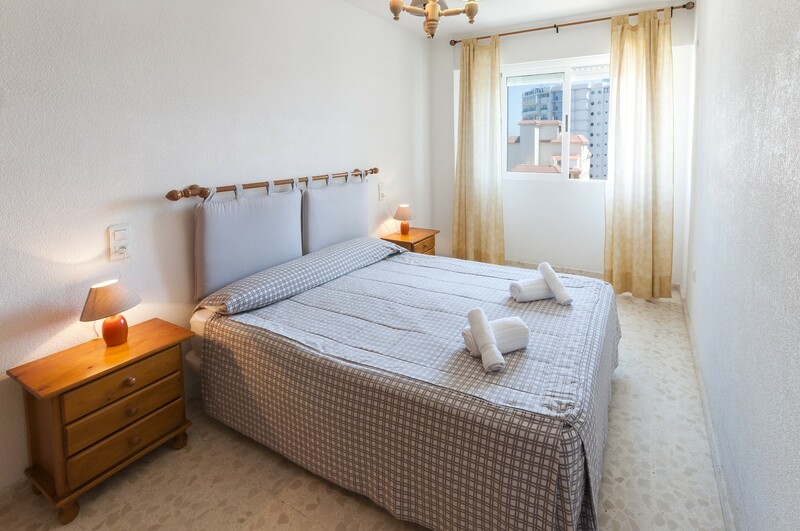 There are two bedrooms, one with a double bed and the other with two twin beds, both with wardrobe. 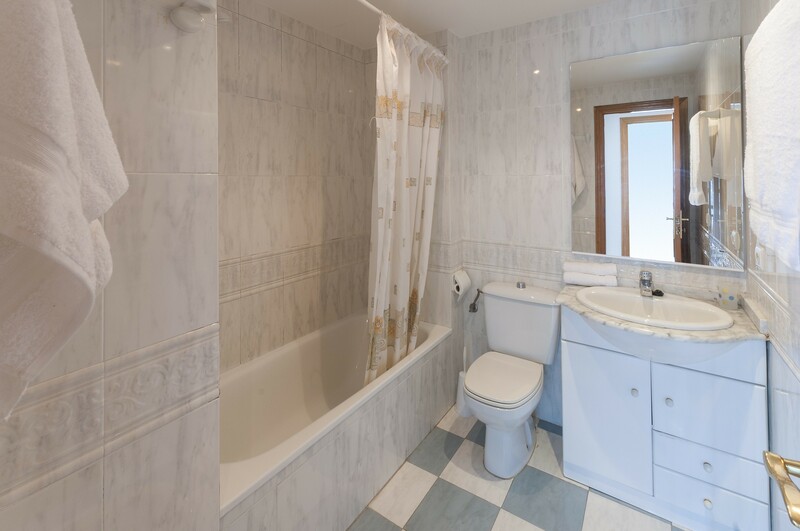 The first bedroom has space for a cot if necessary. 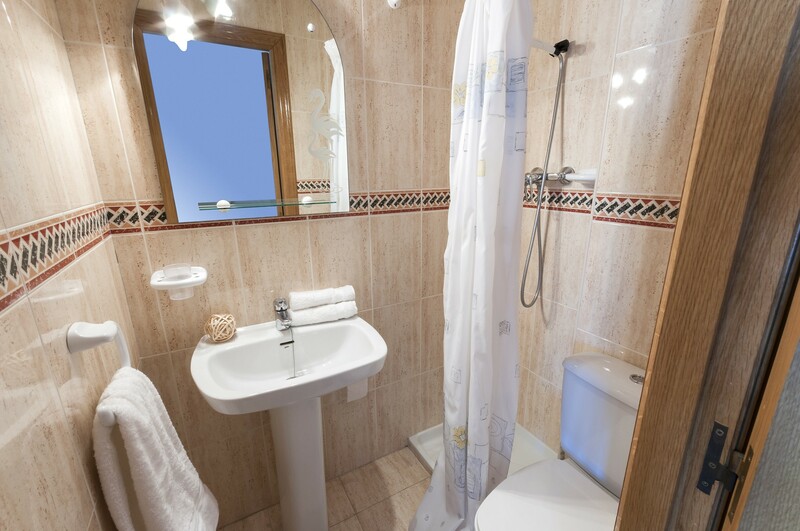 Two bathrooms (one with bathtub and bidet and one with shower) are available. 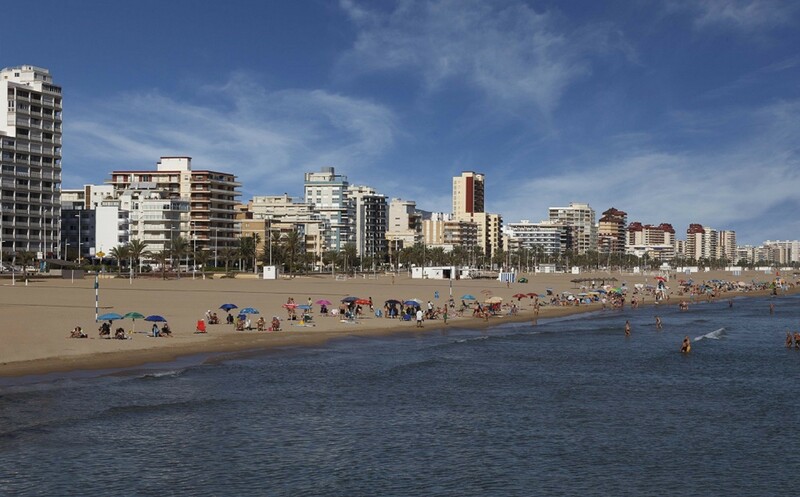 Playa de Gandia is a nice coastal town where you can enjoy the fine grained, golden sand beach or take a walk along the sea promenade to the Marina. 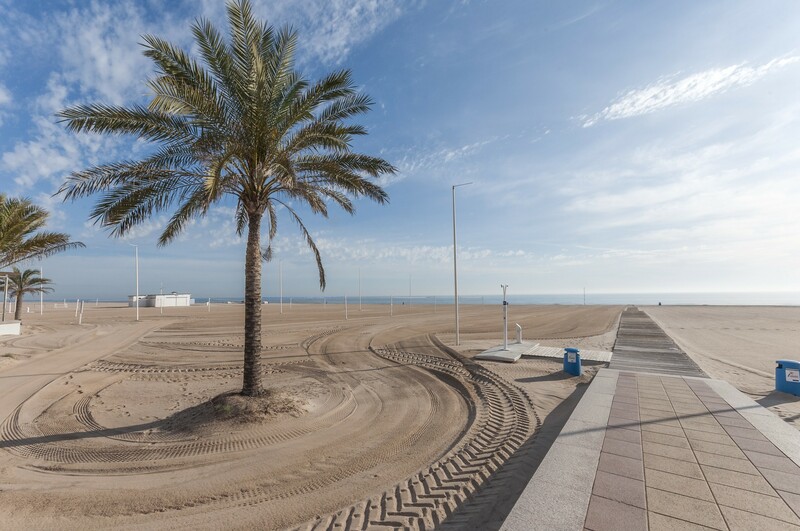 In the evening, enjoy a tasty meal or some drinks in one of the beach bars and restaurants, listen to music or just take a walk till the lighthouse of Playa de Gandia. 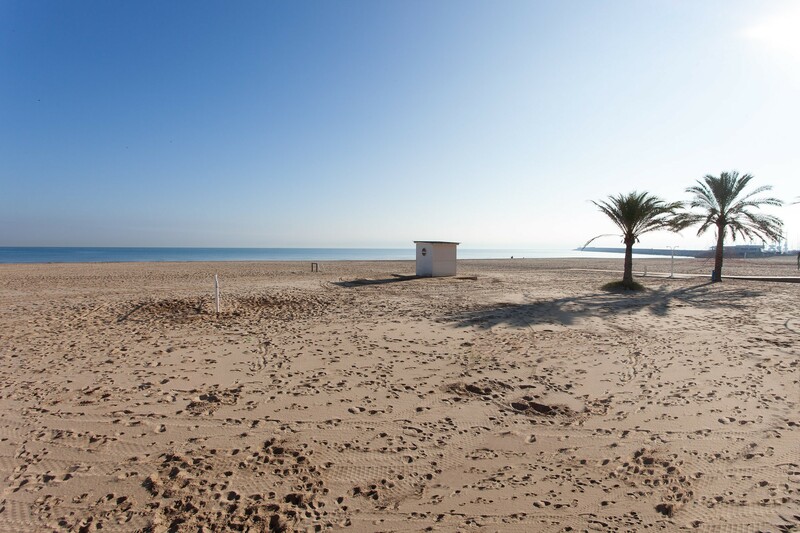 The beach offers lots of services like sun loungers and parasol rental, water sports and other kind of sports like beach volleyball. 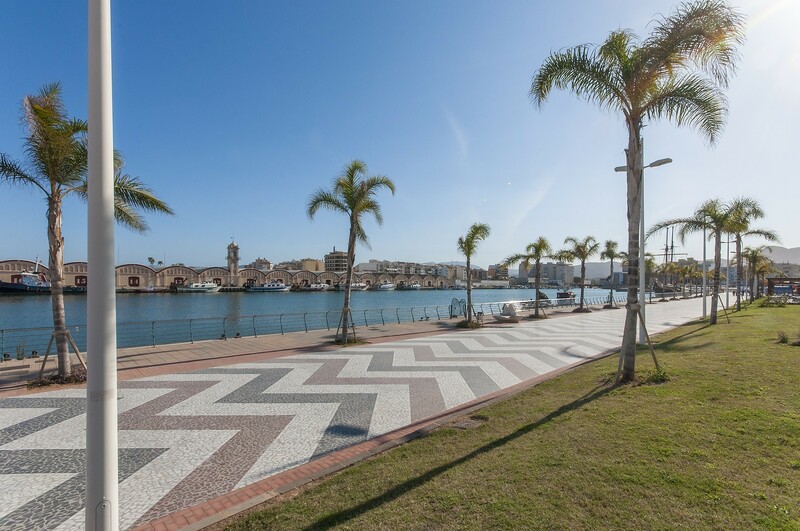 The old town of Gandia is famous for the market and the Ducal Palace.